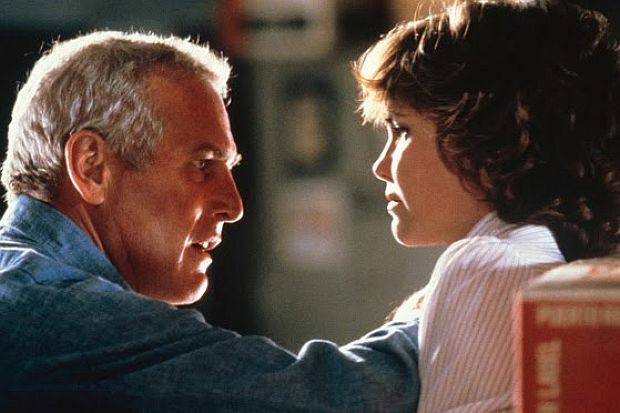 Paul Newman and Sally Field in Absence of Malice (1981). The quality of both pictures aside, it was curious to see how these men and women – united in life – could be so quickly divided in their movie tastes. It wasn't just the simple notion often implied that men like action pictures and women prefer drama; a line was being drawn on the notion of what a man was. In Absence of Malice, Newman's Michael Gallagher is a reserved and private man who gets drawn into public scrutiny by specious association rather than the quality of his character. He takes us pretty far inside the complications of a basically uncomplicated man so that we can enjoy his desire to clear his name and avenge a dear female friend who gets caught in the crossfire of the investigation. There isn't a need for him to prove himself a man. When Gallagher turns on the investigators and the reporter (Sally Field) who launched the story, he's perfectly at home with his masculinity. His actions are motivated by a code of basic decency rather than a desire to be a hero. Paul Newman provides an appealing portrait of a man in conflict with the world where his prowess is never in jeopardy (as is often the case with Clint Eastwood). Newman shows us that Gallagher's need to act is an affirmation of integrity rather than a need to prove one's strength. Which is why, while sitting in the theatre with the women at the screening, I could feel a palpable synergy between Newman and the audience, as if his actions and his character opened up an ideal concept of who a man could be. But, unlike Cary Grant, who became an idealized man with great style on the screen, Newman embraced the glamour of the movie star and infused it with the realism of the Method actor. (For all his virtues as an actor, Cary Grant was really a man of our imagination whereas Newman was a real man with imagination.) The other great Method actors, such as Marlon Brando, James Dean and Montgomery Clift, brought the hidden neurosis lurking in masculinity to the surface, but Paul Newman brought out masculine sanity instead. Whether he was playing a scoundrel like Hud, a randy hockey player in Slapshot, or a martyred Christ in Cool Hand Luke, Paul Newman didn't act out the burden of being a man, but instead showed us how a sane man dealt with that burden. Absence of Malice was hardly a notable movie, but it offered Newman a sketch that he could fill out. It was an actor's showcase where movie-making fever played second fiddle to an exploration of what made a character tick. The audience that night, including the women I watched the film with, came out satisfied at having seen a good story and felt the heat of the sensuous possibilities Paul Newman opened up. 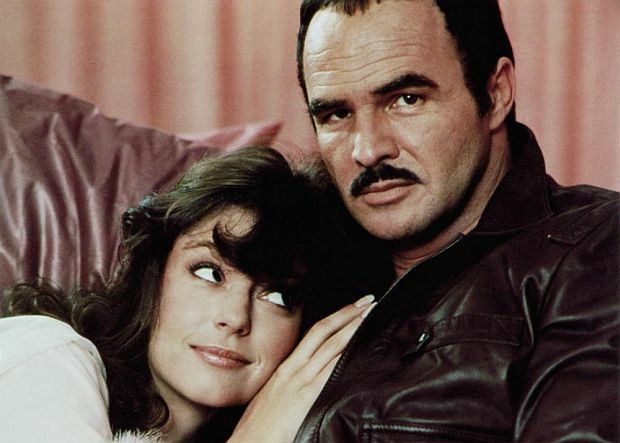 Rachel Ward and Burt Reynolds in Sharky's Machine (1981). If Paul Newman offered up the hopeful possibilities in being a man, Burt Reynolds in Sharky's Machine (which I saw a month later) gave us the despair that comes with carrying masculinity like a ball and chain. In Sharky's Machine, Reynolds isn't playing the righteous avenger who can prove he's the better man. He's crippled by his sensitivity, as if the world – and the venal criminals in it – won't let him be one. His cop protects a female witness (Rachel Ward), but the story isn't about his feelings for her. Instead we concentrate on what kind of man he has to be to protect her. (To prove his devotion, the movie lingers endlessly on Sharky getting tortured by the men who are after her.) Sharky's Machine is about as brooding and enervating as its star. Reynolds is a man of action in repose who's left contemplating a world that no longer has a place for a real guy. (I'd say about the only thing worse than the raging machismo of the action hero who needs to prove himself a man is the weltschmerz of macho impotence.) Sharky's Machine is hardly a surprising portrait of Burt Reynolds, the actor and star. While Reynolds has always been a gifted performer, he's never seemed to find a warm spot in his talent. With the handsome volatility of the young Brando, and the brashness of Sean Connery, Reynolds has mocked his own appeal and played it for cheap laughs. The darling of TV talk shows, he was the movie star who found a strange sense of dignity by playing the sellout who mocked the profession he sold out to. As a result, his films turned into self-conscious vanity projects which winked at the audience (Smokey and the Bandit, The Cannonball Run). Only in John Boorman's Deliverance did Reynolds risk shaking the image he helped create for himself. Playing a suburban man of nature, who constantly tests his masculinity against the wild, Reynolds is the leader of an ill-fated canoe trip that ultimately reveals how little his muscular stature adds up to when he becomes physically wounded and helpless. In Sharky's Machine, however, the body armour stays firmly in place even if Reynolds thinks that including Chet Baker singing "My Funny Valentine" is supposed to show us how Sharky soothes his savage breast. Coming out of the movie house that night, you could say that both camps were satisfied with their choices. But the separate experiences didn't truly bring the group together as we gathered outside in the cold wind sweeping us to the car. From our discussion afterwards, it was clear that Paul Newman may have provided the women with an evening of tantalizing entertainment that invited them into a masculine world of feeling, where intimacy was also a sign of strength, while for the men, Burt Reynolds confirmed the opposite. They were still alone and misunderstood, stoic and forlorn, their male burden left unrelieved. Having spent the evening with the women, and not the men, put me in a whole different perspective. Through Newman, my sense of being a man may have been affirmative, but it was a totally isolating experience since I couldn't share that experience with the men I rode home with. And since I wasn't a woman, I couldn't identify with their feelings except vicariously, even though I had shared the movie with them. 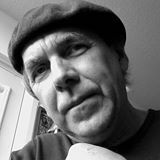 I was occupying a nowhere land where the communal experience of moviegoing had become, for me, at least, a private island. That hermetic illumination didn't become a weight like Sharky's, though, or even a noble gesture like Gallagher's; it was merely an admission that there was still some distance to cover before that island became a shore.